We needed a new label for our Award Winning Folding Dice Tray accessories – and that seemed as good a moment as any to get a quick explanation across as to how they worked*. The Folding Dice Trays come in twenty-six (26) colours and shades of 100% wool felt and five (5) variations of printed neoprene, all with durable snaps that have been rigourously tested as part of our Quality Control. 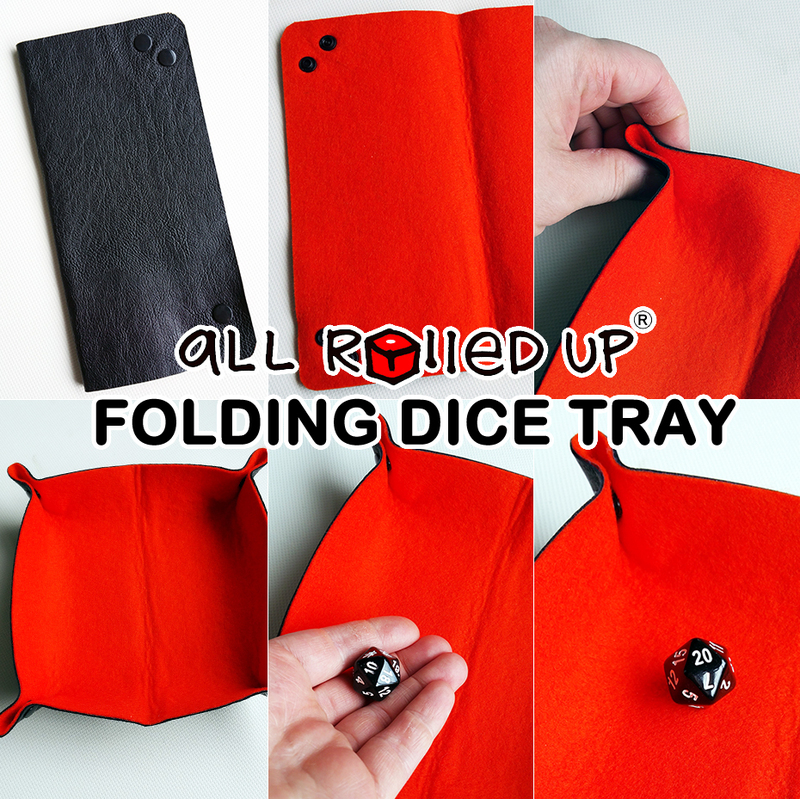 Clatter-lost, Clatter, Patter – All Rolled Up Folding Dice Tray holds the dice, dulls the clatter. You can order Wool Felt Dice Trays and Neoprene Printed Dice Trays through our All Rolled Up Store. * Rolls of 20 on twenty-sided die not guaranteed. Dice roll results may vary; they may roll low and well as high.